More food on the blog tonight…Hoping to get to some crafting soon…or at least get some baking in here! 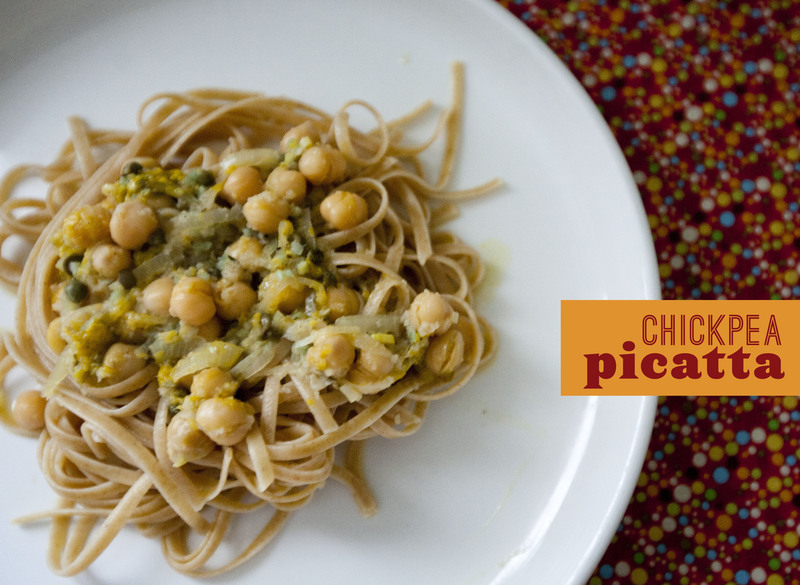 Tonight I made chickpea picatta, from Appetite for Reduction. (so its vegan AND low-fat!) I think I made this before, but I don’t remember it tasting THIS good. The sauce it makes is like crack…It tastes all lemony and buttery, yet there’s nothing buttery in it. I noticed after it was all gobbled up, that we forgot to add spinach (she suggests arugula, but I had spinach on hand.) Oops. This recipe was fairly easy to throw together with ingredients I had on hand (I didnt have white wine, so I just skipeed it) and I plan to put it in rotation. I think this would be a great dinner to serve to dinner guests as well! Here’s where you can find the recipe. I had a bunch of grape tomatoes in the fridge that were about to go bad, so this seemed only right…. I roasted them in the oven with some olive oil and garlic and threw them in some pasta. This was super easy and will make a great summer dinner! preheat oven to 400 degrees. toss tomatoes with olive oil and sprinkle with salt and pepper and garlic. roast for 12 minutes, remove and toss with 2 tablespoons vinegar. roast an additional 5-7 minutes. 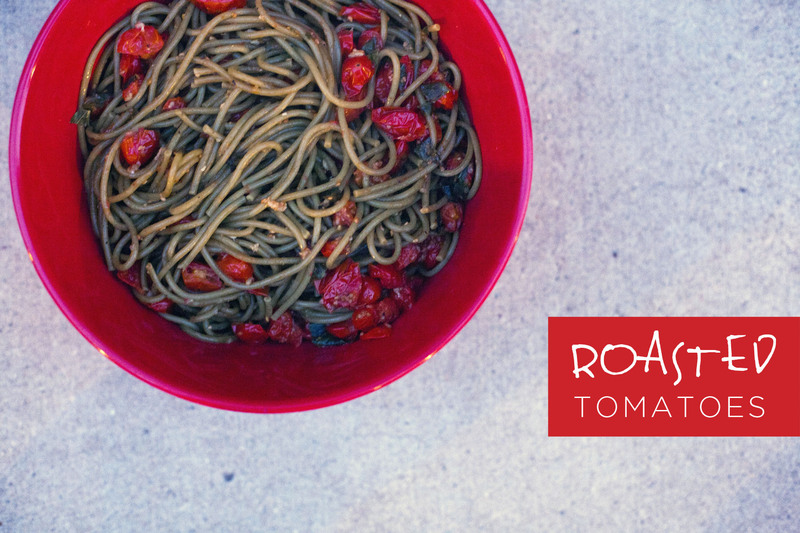 prepare pasta according to package directions, drain and toss with tomatoes, juice from pan, fresh herbs, and additional olive oil; add additional salt, pepper and vinegar to taste.